by Neale Bayly. Additional photos by Blair Young. 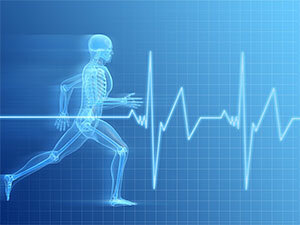 My heart is working overtime, but my thoughts are clear and my head calm as I slide back over the rear wheel. With some light pressure on the front brake, and my foot hovering over the rear, I execute a slow and measured descent under the watchful eye of Ross McKinney, our lead instructor for the day. With his ever-present smile enlarging for a moment, my riding buddy Todd Narduzzi also makes his descent, and like a mother hen feeling prideful of getting her chicks across a fast moving stream, Ross stands up on the pegs, and blasts his BMW GS Adventure off to our next challenge. Arriving at the BMW Performance Center in Spartanburg, SC, the previous morning with the ground covered in hard frost, one of the first questions I’m asked by one of my classmates is “Why is a motorcycle journalist taking a riding school?” The answer is actually quite simple: I might ride motorcycles for a living, but my skill level is just a little past average, so I’ve made sure to have a heap of excellent training over the years. Attending this school was just one more chance to put another tool in my bag of skills to help me ride better. Whether I’m riding a cruiser or a sport bike and of course, for the next time I take an adventure-touring bike off-road. With a high teacher-to-student ratio, and a curriculum that is focused on riding, not classroom time, we are quickly in the saddle and heading out for our first lesson. 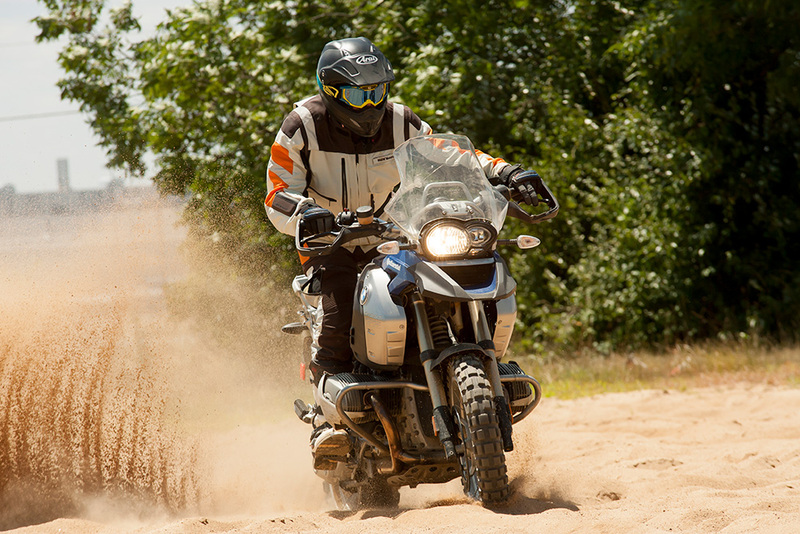 I’m riding a R1200GS; there is a choice between this model, F800GS, or F650GS for those of different sizes or gender. 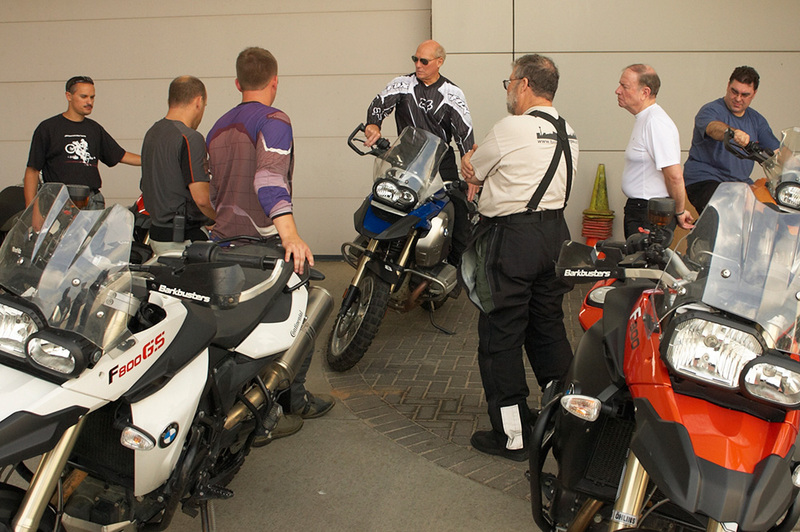 With a specially laid out facility that works in and around the BMW car-training facility, we will spend the next two days working on various drills that will vastly improve our riding skills while unlocking the secrets to safely enjoying heavy off-road touring machines like the BMW GS range. Firstly, we start to work on our balance. Standing on one side of the bike, standing on the other, sitting side saddle with our legs over the seat it’s immediately challenging, requiring every bit of concentration I have to follow and execute the drill. It’s a situation that doesn’t change over the next two days. Each drill we perform is thoroughly explained, demonstrated by a BMW instructor and then practiced under their watchful eye. Mostly we are split into two groups and at any time during a particular drill our instructors might pull us aside and explain something to us. Under the leadership of our instructors we are soon riding over small mud hills and logs, and though impossibly narrow-looking gaps between tree trunks. All while balancing and turning fully under control. We are told to work the clutch with just our first two fingers so we can minimize our actions and save our clutch hands from fatigue. Like all schools, it’s not just the riding that makes it so much fun, it’s the people you meet. And getting to know the only lady in our group, Jill Veverka, was yet another bonus. Her boyfriend is Todd Narduzzi, and the pair of them have taken a lot of motorcycle trips together. I’ve raced with Todd on sport bikes and know what mad skills he possesses, so I was interested to learn this school was Todd’s Christmas present to Jill. Smart man, as he got to join her. Jill has been planning an adventure ride for the last four years to see her sister in Alaska, so she wants to be able to better handle her own BMW GS, and enjoy any off road experiences the couple might encounter along the way. Hoping he doesn’t quit his day job and start doing mine, I couldn’t agree with him more as we moved from one area of the Performance Center to the next. Climbing hills and running through ditches we passed earlier and wondering then who in the world would ever attempt such obstacles, the building nature of the drills seems to happen seamlessly. What I was noticing was my improved level of control and how empowering it was feeling. Starting the first day with obvious levels of trepidation, mid-way through the second day this was completely gone, leaving me hungry for the next adventure. Another student who happens to live in my hometown was Curt Johnson and we hit it off immediately. As a 52 two-year-old business professional with almost enough kids to start his own soccer team, Curt has a dream to ride the whole Trans-America Trail. Not long after buying his BMW R1200GS, he signed up for the school, telling me, “As a father I have always valued additional training as a way to sharpen skills and reduce and manage risk in all activities. The school was fantastic. We were methodically introduced to basic off-road skills and then more advanced techniques that continued to build on each other, and after two days we were all able to participate in very advanced riding drills.” Throughout the two-day school, we were encouraged to go at our own pace. Each instructor is trained by BMW to a very high standard, and it shows. Not only can they perform and execute each of the drills with perfect form and balance, they are extremely astute at picking up on areas of technique we needed to improve on. During the emergency stopping drill, it was incredible to see how poorly a big motorcycle stops in the dirt with the anti-lock brakes active. 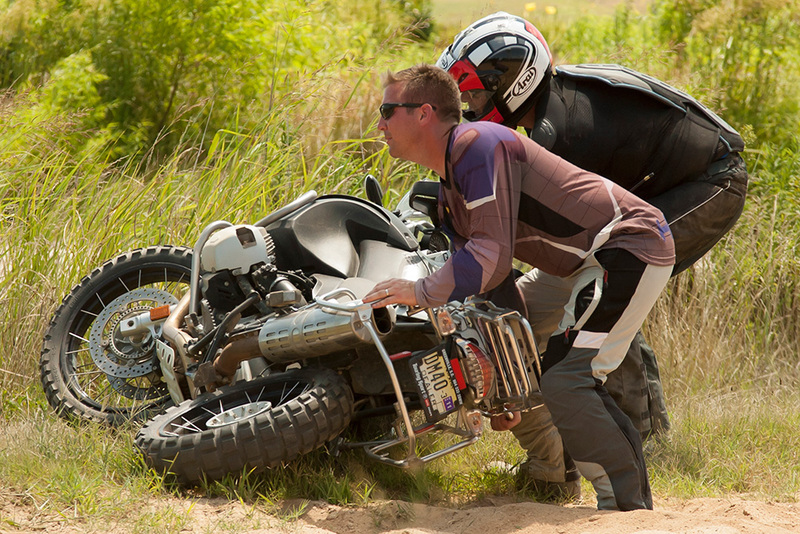 Contrasting to how quickly the bike stops with the rear wheel locked and the front on the edge of traction will make sure no one makes the mistake of leaving the ABS engaged off-road. 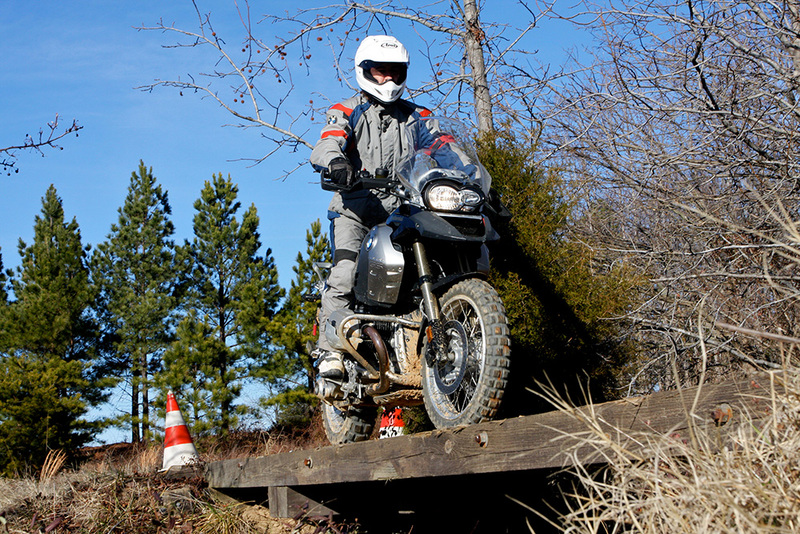 Yamaha take note, as the Super Tenere has no obvious method for turning it off. 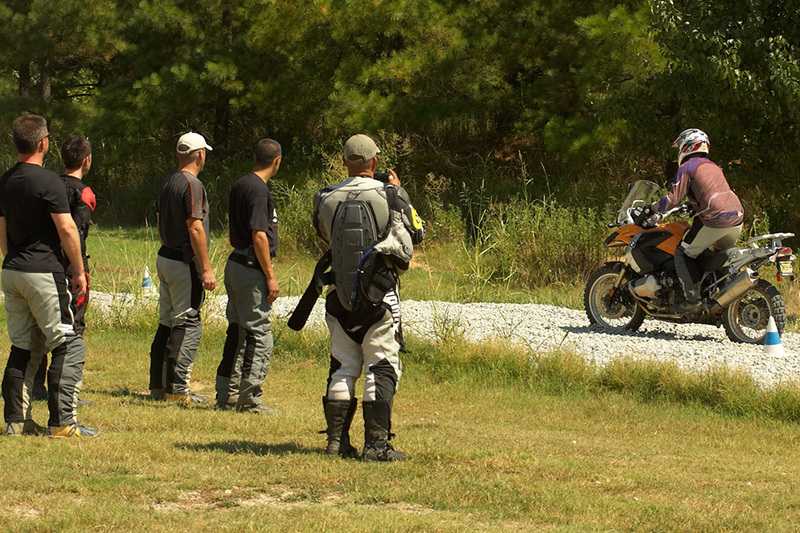 To prepare us for this exercise, we first learned to lock up the rear brake and leave it locked as we came to a halt. Next we learned what was the most nerve-wracking drill to me: locking the front wheel and letting it plow momentarily through the dirt before releasing the brake lever. The most alien feeling in the world to me is to have the front end pushing and skidding. It was really interesting when performing the emergency stops later, how much more confidence I had in the front brake. Now I wasn’t worried about locking it up as I had techniques dialed into my brain to deal with it. With a fantastic catered lunch every day at the main center, and plenty of attention to hydration and rest periods we all ended the two -day school tired but very happy. Each of us knowing without any shadow of doubt, our riding skill set had just taken a huge step forward. We had a small ceremony to accept a certificate of completion and receive a nice bag of BMW swag before departing to our next adventure. Todd and Jill are headed to Alaska, Curt is off on the Trans-America Trail, and I’m off to Namibia, while some of our classmates are going to be riding around their homes. Where we are going, or what we are riding is irrelevant as we all share a common bond. 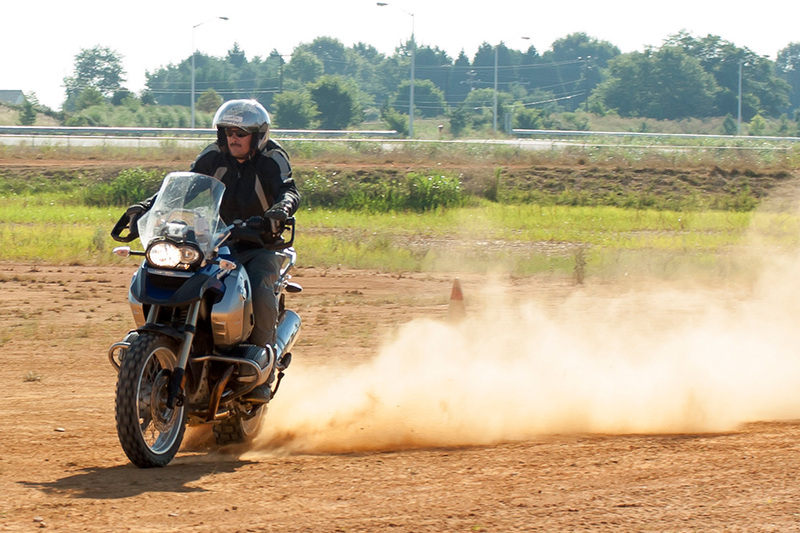 We are better, safer motorcycle riders’ on-or off-road for attending the BMW riding school.